The new year of 2006 starts off well with a new Society president, Cathy Zermeno. Having been the charter president of the Society in 1980, Cathy returns to lead the Society to new heights during the next two years. Her continued dedication and support throughout our 25-year history brings renewed vitality to the position. • The Society’s museum archives were moved back to the City of Culver City after several years under the watchful eye of Ross Hawkins at West Los Angeles College. • Julie Lugo Cerra and Joan Jakubowski started the “Living History” program in which Culver High seniors depict moments and personalities of Culver City/LaBallona Valley history for elementary school students throughout the community. • A project has been initiated in conjunction with the City of Culver City to install photographs of all the elected City officials which will be an ongoing project for the Society. The last four years has brought about change and challenge for all of us in the Society. I want to thank you for the opportunity of serving the Society as President and ask you all to join me in supporting Cathy Zermeno in the coming years. Our October 19th General Meeting will be our bi-annual election of officers according to the by-laws of the Society. The Nominating Committee is appointed by the president and made up of three Society members a Board member, a committee chair and a member from the general membership. This year, Anita Shapiro, Robert Duitsman and Carol Schwab have been chosen for the Nominating Committee, and will present their report to the general membership at the October 19th meeting. For those interested in being nominated for a position on the Society’s Board, please contact anyone one of the three members or all three by either e-mail or telephone. Bob Duitsman: email: duitsy@yahoo.com and tel: (310) 645-6223. Carol Schwab: email: carol.schwab@culvercity.org and tel: (310) 253-5660. Anita Shapiro: email: anitagirls@aol.com and tel: (310) 837-7853. Our program for the evening will be a delightful video of a tour of the historic Culver Studios, taped to document one of our early and highly successful fundraisers. Made in 1989, A Celebration of the Movies, was coordinated by former school board member, Diana Pannone, who arranged for the video to be made for the special event. Remember: Get involved and become a part of history! I encourage you to call the Nominating Committee and submit your name for consideration – we need your active and creative support! It’s Summertime and the Society has a lot of activities planned for your involvement! Our annual potluck dinner will be “Bar-B-Q-style” and is scheduled for July 20, the traditional third Wednesday in July. Just come on down and bring some of your fine cooking to share with six other friends. The friendship along with our wonderful summer nights that become enjoyable with ocean breezes makes the summer potluck picnic a fun evening for everyone. The society will also have a booth at the Fiesta La Ballona, selling many different Culver City items that you’ll want to buy as gifts for friends and families – for birthday or anniversary gifts. Please stop by and consider doing your holiday shopping early! While we’re making the whole of 2005 our 25th Anniversary, this Fall, we will be officially celebrating with a special event soon to be announced. Twenty-five years of preserving and teaching our community history is OUR history! Help us to celebrate and to continue our work to preserve the uniquely fascinating history of our town so that new generations will know how Culver City evolved over the years. Knowing and understanding our history is one of the great legacies we can leave to our future citizens to help guide them into making Culver City an even better place for all to live and work. 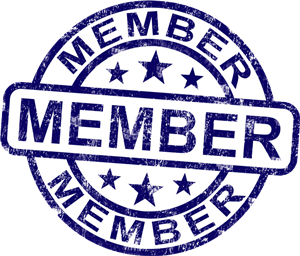 Get involved and become a Society member! Springtime has come at last and an historic winter seems finally over, leaving a record-breaking rainfall which caused millions of dollars of damage throughout Southern California. We too, here in Culver City, suffered damage to our beloved Culver Crest – along with hundreds of potholes in our streets. We know, however, that we will all prosper after this difficult time passes. With our April quarterly General Meeting just a few weeks away, I’m delighted to announce that our guest speaker will be our own Martha Sigall. Martha has a new book coming out about her life as an animator for some of the major studios in Culver City and Hollywood. With more than 50 years of wonderful experiences to share, there is no doubt that Martha will give us a stimulating talk and no one should miss this exciting meeting! May is National Historic Preservation Month, and the Society is very happy that the city will complete the marking of its historically significant buildings, more than ten years after the original ordinance was passed. We will be publishing a list of those building in the next newsletter as part of our year-long celebration of the Society’s 25th Anniversary (more on this soon). Thank you, Culver City, for completing this long anticipated project. The Culver Theatre is now officially the Kirk Douglas Theatre! The gala Grand Opening, held on Thursday, August 30th, 2004, was highlighted by the welcoming words of Mr. Kirk Douglas who accomplished what he said he would do at the 2002 ground-breaking ceremony on a cold Jan. day: to say the first words from the new stage of the theatre. The renaming was in honor of Anne and Kirk Douglas’ donation of $2.5 million towards the total estimated renovation cost of $11 million. The bonus highlight of the evening was the lighting ceremony of the revitalized Culver sign on top of the theatre. And the newly renovated marquee – in all white – stands as a reminder of days of old when the Culver Theatre was the movie house of a bustling downtown in post-war Culver City. It brings back an era of modern architecture and neon that marked the birth of a new peaceful America that was full of possibilities. We, as members of the Society who hoped for fuller preservation, did not get everything we hoped for, but we did get the spirit of the old Culver Theatre – with the new Kirk Douglas Theatre, built from the skeleton of a movie house where Douglas’ movies appeared time after time throughout the years. The Douglas family will carry on the style and culture that the owner, designer, and builders of the 1947 theatre dreamed and built for the people of Culver City and the Westside.